The concern about interviews is coming up a lot at the moment. Many people have been thrown onto the job market after working for a company for a number of years and now have the problem of not being “match fit “ when it comes to an interview. 1. Not being nervous in front of the interviewer/s. Nervousness is quite normal. It simply means you are adrenalin charged. The key here is to prepare yourself mentally before you walk through the company’s door. Confidence comes from knowledge. The more you know about a company the more confident you will be in front of people. In fact I have had a number of clients who have said when I have asked them for feedback after an interview that they have told the interviewer things they did not know themselves about their own company! 2. Being asked questions that are difficult to answer. Again the key is preparation. Think of the most difficult questions you could be asked and prepare answers for them. Questions such as “ Tell me about yourself “ can be answered very professionally by having a ninety second presentation which you have written out beforehand and rehearsed. This will impress the interviewer and put you ahead of ninety percent of other candidates. Questions such as “ why were you made redundant “ can be answered by statements such as “ I was not made redundant, the job was “ and then go on to explain how your time on the job market has given you time to reflect and realise that you have considerable skills and abilities and you have been surprised at the demand you have noticed for them in the job market! 3. The feeling of being controlled by the interviewer. Take and keep the initiative. Many job seekers go into interviews with trepidation and allow the interviewer to take control. Very few people are skilled and experienced interviewers. 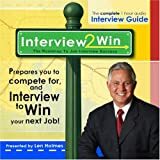 You would be surprised at how easily you can take control of an interview at the outset by asking the simple question “ What is the particular problem / need your company is seeking to address “ When the interviewer tells you then you can relate all your past experience and knowledge to that particular need. Try practicing in front of a mirror. If you have a video recorder and really want to impress, film yourself or use your mobile if you can. You will soon spot the areas to work on. For more job interview tips or to enroll on our 5 day mini job hunting course go to http://www.careers-advisor.com. Peter Robson has over 20 years experience in the career guidance industry. he has worked with people from a variety of job backgrounds and industries. He works with people individually as well as project managing large outplacement assignments. His personal email address is robson.peter7@googlemal.com and you can sign up for his free 5 day job hunting course at http://www.careers-advisor.com.